This book, The Moon: NASA Images from Space, includes images from the National Aeronautics and Space Administration(NASA), European Space Agency (ESA), and other international space explorations. Early images show the very first Apollo missions to the Moon using film in a Hasselblad camera. NASA illustrations explain the Moon's tidal forces on the Earth's oceans, seas, and land mass, the Moon's phases as see from Earth, the lunar geography, and Moon's composition. This book shows detailed maps of the Moon's surface: its incredible craters, ancient lava flows, plains, seas, and mountains. Included is speculation about the Moon's origin and its historical place our solar system. Humanities future plans for lunar exploration and habitation are discussed. Can humans live there, and how? 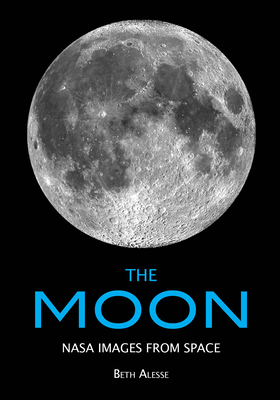 This book is a comprehensively illustrated collection of lunar visuals of over 150 images.